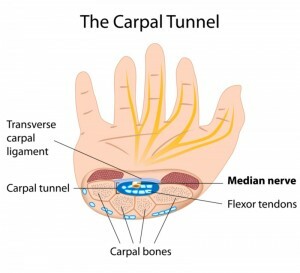 Carpal tunnel syndrome is a condition that develops when the median nerve gets compressed at the wrist. 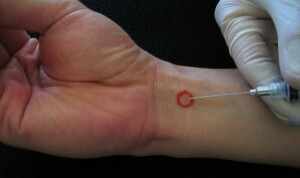 Symptoms include weakness or numbness in the palm and wrist, and radiating pain in the arm. A decreased grip strength and reduced sensation of hot and cold may result in some cases. cyst in the carpal tunnel. The incidence of carpal tunnel syndrome is thrice more likely in women as compared with men, possibly due to the narrower carpal tunnel in women. Carpal tunnel syndrome is diagnosed by the physical examination of the wrist (wrist-flexion test) and the muscles at the base of the hand, as well as the fingers for sensation. X-ray, ultrasound or MRI examination can be used to detect the presence of underlying factors, such as fractures, and damaged structures from diabetes or arthritis. Nerve activity can be evaluated through electrodiagnostic tests. Surgery is recommended for cases that do not resolve in 6 months. It is estimated that more than half a million patients undergo surgery for carpal tunnel syndrome in the US every year. 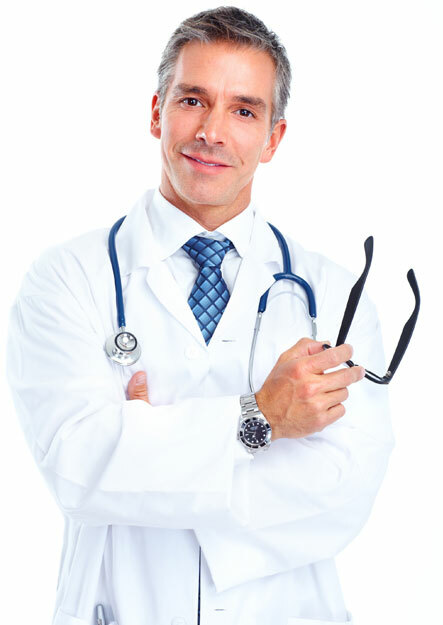 Two types of surgery can be done—open release surgery and endoscopic surgery. Although surgery requires local anesthesia, it is an outpatient procedure, wherein an incision is made in the wrist to cut back ligaments and enlarge the carpal tunnel. Most patients do not have a recurrence of symptoms following surgical intervention. However, recovery after surgery may take few months, and patients may be at risk for infection, nerve damage, and scar formation at the site. If wrist strength is compromised following surgery, physical therapy can be performed to improve wrist functionality. People who do not respond well to non-invasive treatment measures for carpal tunnel syndrome, may benefit from stem cell therapy. At R3 Stem Cell Clinics, we evaluate your case to offer you choices for healing your carpal tunnel syndrome through stem cells. 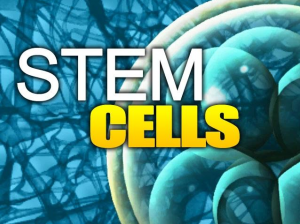 Both stem cell therapy as well as platelet-rich plasma (PRP) therapy have regenerative capacities to repair and heal damaged ligaments and tendons. Steroid injections are usually delivered to manage painful swelling at the site. However, unlike steroid injections, stem cell therapy does not present detrimental side effects. Stem cells naturally secrete anti-inflammatory agents, which in turn provides relief of symptoms. In addition, by administering reparative stem cells, it is possible to avoid the long rehabilitation period following surgery. CONTACT R3 STEM CELL TODAY FOR MORE INFORMATION AND SCHEDULING AT A CENTER OF EXCELLENCE NEAR YOU, CALL (844) GET-STEM.